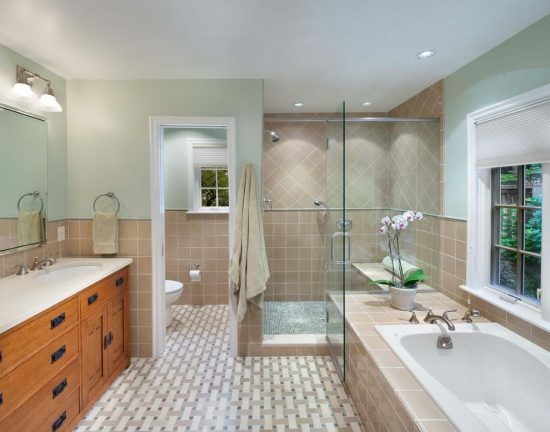 The serene, romantic, fresh, or warm look of your bathroom affects your own mood and lifestyle. Whether you have a small or large bathroom space, you can still get the utmost function and create an amazing look using the designs of CARNEMARK Design team. If you consider your bathroom as a retreat to reduce life stresses, try to create a simple design with neutral colors and warm lights in the place. 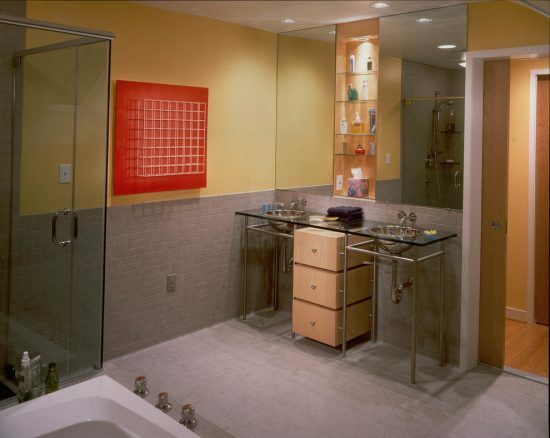 In Washington DC, the team members of CARNEMARK Design create a grey serene bathroom with a large glass shower area, an independent toilet space, a wooden vanity with pullout drawers and concrete top, and colorful sinks, painting, towels, and flowers. In Oak Hill, VA, the team members design a geometric shaped shower area with similar shaped vanity to create a harmonious look in the place. 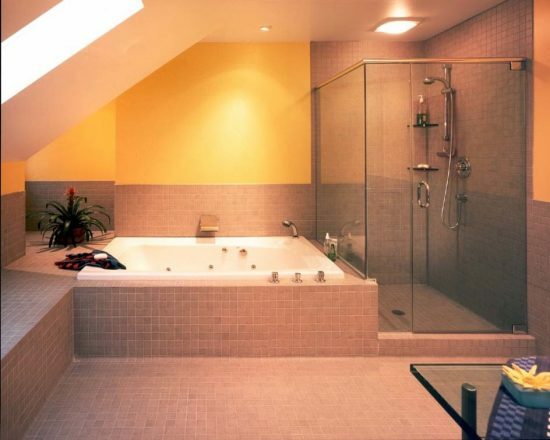 I you have a small space and need to create a full function bathroom, try to make use of every inch in the place. 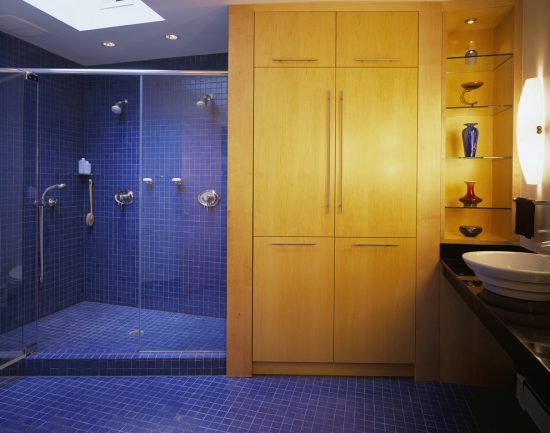 You can inspire your design from Chevy Chase, MD bathroom designed by the team of CARNEMARK, as they use an isolated space for the toilet and the rest of the room has a glass shower cabin, a bathtub, and a wooden vanity. 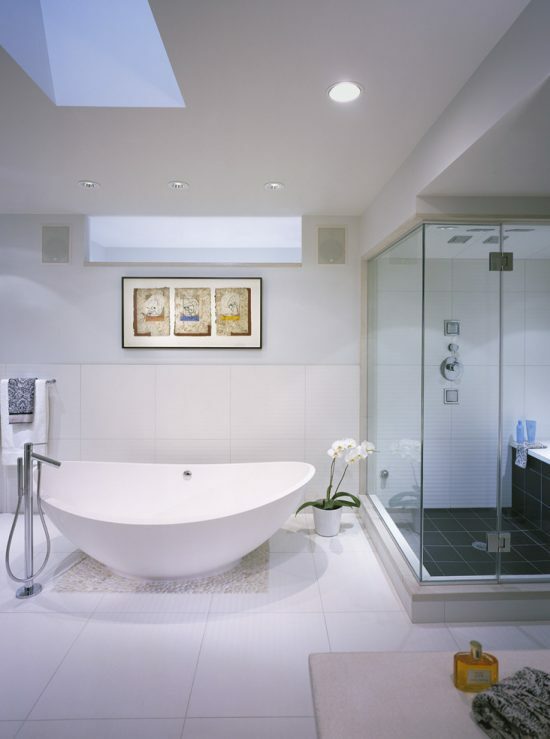 You can even a deep soaking tub and mount the showerhead in the same area to create a multifunctional area. 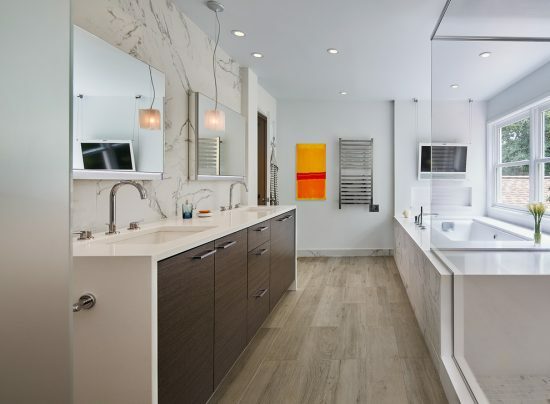 If the available space is larger and you need to create a luxurious look, you can install a white, transparent, or colorful spa bathtub, quartz-topped medicine cabinets, porcelain floor with wall accent, and natural stone walls just like the design of McLean VA bathroom. 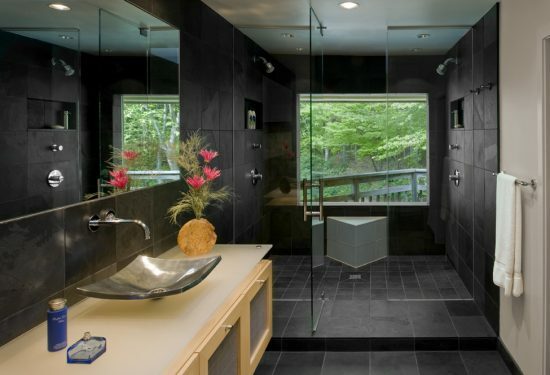 You should make use of the architectural designs in your bathroom to keep the functional and aesthetic look of the place. You can provide the place a personal and comforting look using industrial, eclectic, masculine, colorful, spacious, or fresh elements. How to pick quality furniture and add a valuable touch inside your home! What has leaves, a trunk, and branches, and grows in forests?